MOON TOWNSHIP — It is those truly impactful moments in a game when everything seems to move in slow motion. In a basketball game, the ball leaves the hands of the shooter as it seems to spend an eternity in mid-air. For the Robert Morris Colonials, the shot came out of the hands of an unlikely source. The Colonials were battling their bitter rival, the Saint Francis Red Flash, in the NEC championship game this past Sunday. Robert Morris appeared in control of the game until the Red Flash came flying back, hanging onto their season for dear life. With just one minute left in regulation, the Colonials held a 56-51 lead. 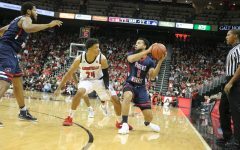 One more basket could lock the game for Robert Morris, but a miss could leave the door open for Saint Francis to complete their comeback. Enter Castedo in the back right corner of the court. The Colonial faithful on their feet, holding their breath as the game reached that slow motion moment. Castedo’s three-point shot went up with the season, a trip to the NCAA tournament and a chance at redemption on the line. 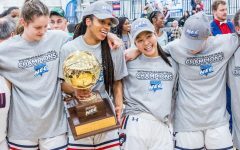 The weight of Castedo’s shot was felt as the building erupted when the ball went through the net and the idea of an NCAA tournament berth became a reality. It was a moment that will be permanently etched in Colonial history as Castedo proved the moment was not too big for the young freshman who joins a collection of Colonials who arrived in Moon Township from all over the world. 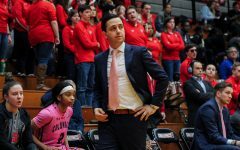 What stands out most about Castedo was not here play-making ability, but her team-first attitude reflective of the Charlie Buscaglia culture that the head coach has instilled in his team. But Castedo’s championship moment was not even the first time this postseason that she had proven to be a hero. Castedo helped stave off yet another late comeback, this time from Mount St. Mary’s in the Northeast Conference semifinals. But instead of one shot, Castedo exploded for three-straight three-pointers. A nine-point burst which helped give the Colonials a double-digit lead going into the final quarter. 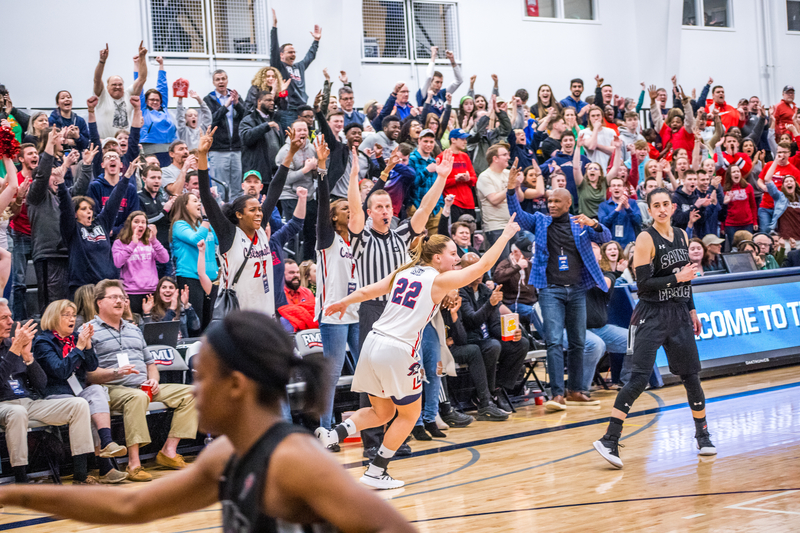 As it turned out, the Colonials needed every point they could get as the run by Castedo gave RMU enough breathing room to hold off the Mountaineers as they made a fourth-quarter push. During that fourth quarter, Castedo sent one of the gutsiest passes of the season to Nneka Ezeigbo in the paint. The pass led to a basket and-one for Ezeigbo in what sealed the Colonials their sixth straight NEC championship appearance. The Colonials have proven all season that they have the most depth in all of the NEC. And even with the talent of Castedo, it can get easy for a freshman to get lost in the pack, but Castedo’s knack for stepping up in big moments has already made her a household name after not even one season donning the red, white and blue. Castedo gets her shot at the biggest stage against one of the best teams in the entire nation in top-seeded Louisville on Friday afternoon. A big-time game for a big moment player, Castedo may be a dark-horse player to watch candidate in a game filled with star players on both teams.